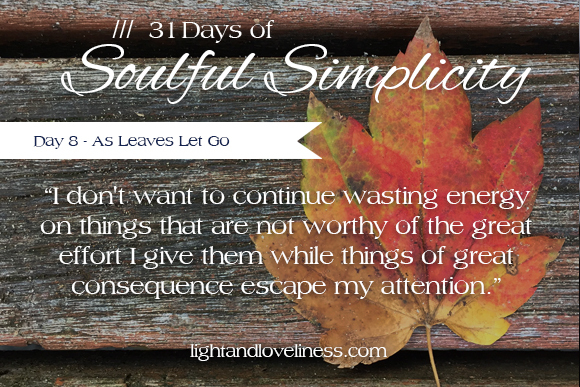 This is day 8 of Soulful Simplicity, a 31-day series through the month of October! 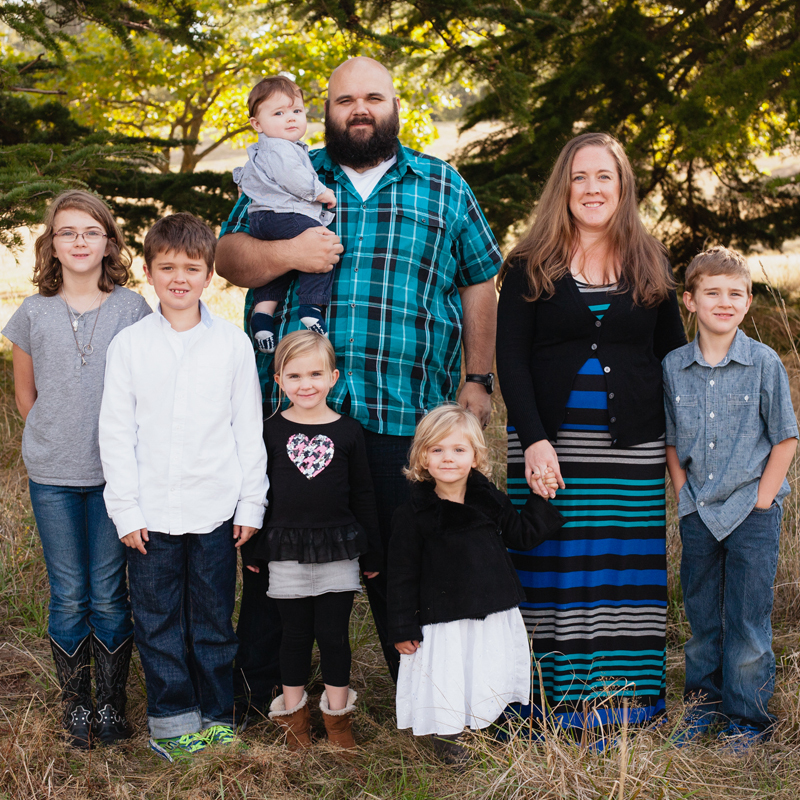 If you missed the first week of the series, you can check it out here. Thanks for taking the time to spend a few minutes here. I drive Seattle streets and with every gust of blustery wind, leaves shake loose from the towering trees overhead. For half the year, they grow on long, spindly branches, morphing from green to a multitude of other colors as the seasons change. In a single moment, the leaf lets go of the familiar and comfortable branch for a free-fall to something new and unknown—giving themselves wholly to a process of surrender to the wind that blows over them—turning over and back in the breeze several times before landing with the raindrops on my windshield. I don’t find it quite as easy to let go of what is familiar and comfortable, and I definitely do not move into new life seasons as gracefully as bright leaves falling like glitter in autumn. Letting go of hopes and dreams and loves when the wind blows me somewhere new feels awkward, achy, and uncertain. I spend way too much time living paralyzed by anxious thoughts and troubled by unknowns and what-ifs when there is a simple (but not necessarily easy) solution before me. Let go of angst. Let go of frustration. Let go of a need to control or a need to perform for the praise of others. Let go of expectations that disappoint, and stuff that I don’t need. Let go of toxic relationships and impossible standards and the constant feeling that I am not enough. It’s not until we let go that we can be swept up in a wind of the wondrous goodness of God. I’ve learned that He will not pluck me from the tree against my will, but allows whatever conditions are necessary to convince me I don’t want to continue in the condition I’m in—tightly gripping a season or a reality that isn’t in my control, even though I believe it to be, wasting my energy needlessly. I don’t want to continue wasting energy on things that are not worthy of the great effort I give them while things of great consequence escape my attention. Just as the leaves let go, I invite you to let go of whatever is keeping you from fully embracing the adventures God invites you on. I pray that your anxiety be met with comfort from God, your fear of disappointing others be met with approval from God, your heartaches be met with healing from God, your exhaustion be met with rest from God. Let go of the pressure to hold yourself and your world together. Even if you’re letting go of a place that feels certain to one that challenges your faith, know that there is no need to fear a free-fall into the strong and capable hands of your Heavenly Father. I love this Emily. Thank you for your words. “Let Go”. “He will not pluck me from the tree against my will, but allows whatever conditions are necessary to convince me I don’t want to continue in the condition I’m in—tightly gripping a season or a reality that isn’t in my control, even though I believe it to be, wasting my energy needlessly.” This resonated with me. Said so eloquently.